Newssymbol.com Review: Don’t Expect $$$ For Your Work! So, I am coming at you with another scam news site to be wary of Newssymbol.com With this short Newssymbol.com review I will go into details about how I know for a fact that this site is a scam and how to prevent falling victim to it. Newssymbol.com is a so called news website that offers you the chance to earn up to $5 to $9 for every news article that you read. It also offers a unique affiliate program where you can earn $150 for every person that you side up as well as earn up to 20% of their earnings. With this kind of money you can make anywhere from $250 a day to $2000 a week. If it were legit this would be an awesome opportunity. Too bad that it is not. There are many reasons as to why I know for a fact this website is a scam. Let me go into more detail for you below. One of the things that I tend to look for with any kind of affiliate program is how trust worth it is and unfortunetly this is one of those sites that doesn’t deserve my trust. According to ScamAdvisor.com this website has only been around for a month or less and doesn’t expect to last longer than a year. 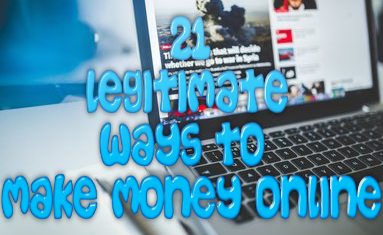 The reason why this website was given such a low trust rating is the fact that there are so many different websites that look identical to this and most of them turned out to be scams. But more on that later. Now, my biggest problem with this site is the actual news articles. If you are anything like me then you have probably read a news article here or there. Most common news articles around a couple of paragraphs to a page or two in length. These news articles on the other hand are only a sentence in length….that’s it. I’m sorry, but I find it hard to believe that you can actually make $5 to $9 just by reading a sentence or two. It just isn’t that easy. 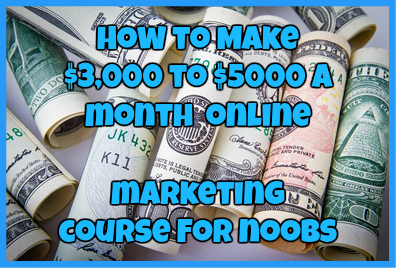 Ok, so I have been making a full-time living online since 2012-2013 and I can tell you from experience that it is just not that easy to make money online. Most affiliate companies out there WILL NOT pay $150 for every referral that you bring into a FREE program. If these programs did that then they would be bankrupt in no time. Sure, an affiliate program may pay that much for a paid product, not a free one. With that being said just from my experience alone I can tell you that this is one opportunity that is just too good to be true. The math doesn’t add up and I don’t buy it. While there aren’t necessarily a lot of complaints about this program so far due to the fact that it is relatively new, there have been many complaints of lack of payment from other sites that look IDENTICAL to this one. Just check out what some people have been saying below. If you take a close look at the homepage of Newssymbol.com and compare it to other popular “news” sites such as Lines-News.com or News-High.com, you will notice some subtle difference. Actually not subtle, they are damn IDENTICAL. Why make the same identical looking site over a dozen times if not for something scammy? Honestly I know this website is a straight up scam just by looking at it. I have written SOOOOOO MANY reviews on these damn sites that all look identical that I am honestly getting sick of them. Site website is part of a chain of known phishing scams and they keep popping up faster than I can review that. With that being said, I know 100% that you won’t get paid for your efforts nor will you actually see money in your account. Again this is just my word. If you don’t believe me you can easily look up payment proof for this program in Google and I know for a fact that you won’t find anything. So, yeah. This is a scam and I would stay away from it. Have you fallen prey to the Newssymbol.com scam? If so, I would love to hear about your experience. Just drop me a detailed comment below. ← VisibleQuiz.com Review: Will It Pay You For Your Opinion? Affiliate Titan Review: Will It Help You Become an Affiliate Marketing Titan? Virtnext Review: IS THIS BOT ACTUALLY LEGIT OR ANOTHER SCAM? So, I was on the site for about a week and due to an update I had to restart my computer(which logs me out from everything I’m signed into). Now, I am unable to sign into the site; even though, what I’m typing in is the same email and password I had written down for the site. When you click forgot password it has you type in your email and then says either “no account with that email” or “a new password has been sent”. No email has been sent and when you click the ‘contact’ tab, you never hear from anyone. I’ve even read some “News” articles with grammar errors and with a legitimate site that has you read “articles” they usually want feedback; not: wait 3 seconds, click ‘confirm’, and solve a simple addition problem. Strongly recommend that anyone else who has signed up for this website to immediately change your paypal/payza account login details and if it is even possible; DELETE YOUR ACCOUNT WITH Newssymbol. I agree completely. However, just like with the other identical websites such as this there has never been a way to delete your account. I have thoroughly looked into it and have not found a solution. Well if that is the case would you be willing to send a screenshot of payment made through paypal to you? Most people are stating that they have been paid, but won’t actually show proof and this is something many people are looking for. So if you are willing I would love to see it and I would be more than willing to change my review. You can reach me via my contact page. I have encountered the same issue of not receiving payments. It has been over 20 working days, but no payout yet. Furthermore, as the main article indicated, the “contact us” form seems to be sent to a vacuum with absolutely no response. Highly disappointed. Thank you for your comment. I know how frustrating it can be to fall into these types of scams and how disappointed you must be for not receiving payment. I hate these sites and how they are scamming others. I wish you the best of luck in the future. It’s easy. What they are gaining is adsense revenue. There is no other explanation for the ads they place on their websites.